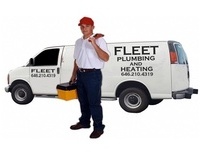 FLEET Plumbing Heating Boiler Services has been offering affordable emergency and remodeling services to Queens New York and the surrounding community for 3 generations. Our experts can pinpoint any problems with your plumbing system, perform gas, heat and oil conversions. We also do installations and help remodel your kitchen or bath.